Every now and then we get a sweet request to turn someone's new home into a floating house. I love this idea. Now, it does not work for every house (example a rambling ranch house, huge mansion or home too covered by treed to get a good picture of it aren't good material for this concept). This is a great idea for a housewarming party or a wedding where the couple has bought a new home or are having their wedding at a unique architectural venue. Here is a shot from someone's wedding we were sent today. Love it. When its all filled in, the balloon will make it fly! Their wedding reception was held at the Historic Blaisdell Manor. 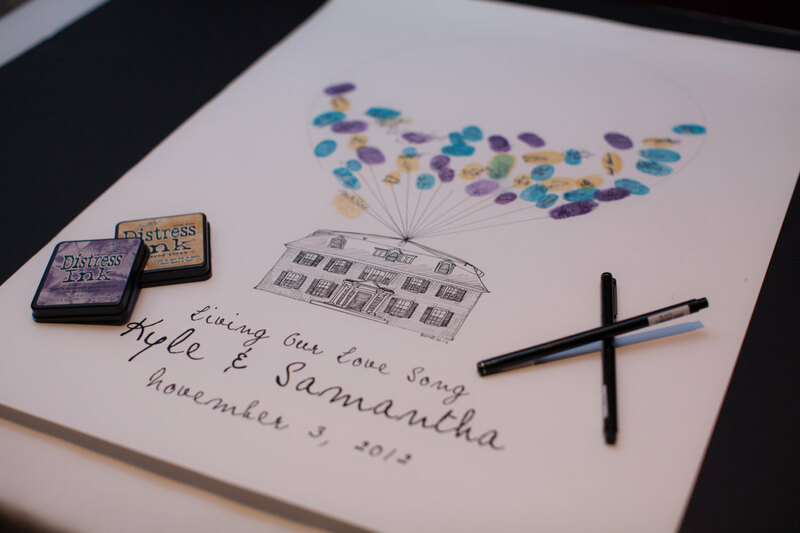 Contact us about crafting a custom drawing of a special building for you too!